A Passion for Play: My first blogging award... they give out awards??? My first blogging award... they give out awards??? Yay for play! 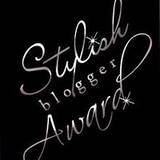 My first award for blogging, and I'm so pleasantly surprised! I would like to thank No Monsters in my Bed for the award. This super spectacular blog written by the lovely Darcy continues to inspire me with more ideas for play, art, reading and adventure. If you live in the DC area, it's especially helpful providing lots of ideas to do in the nation's capital and surrounding areas. 1. I have learned how to tame my naturally curly hair over the years and have just started accepting that it's never going away. 2. I can't stand bananas and haven't eaten one since I was old enough to object. 3. I have an aversion to playing with play-doh and convince myself through self-talk that it's okay to touch on an almost daily basis. 4. I love classical music. 5. I sometimes do ballet while listening to classical music when no one is watching. 6. I sing some mean karaoke. 7. My family gave up watching television for 365 days. Day 365 is on March 4th. Now, back to preparing for the next blog post! Oh, and btw, I'm tweeting now! Follow me on twitter. My handle (impressed with the lingo?) is PassionforPlay.